How Can You Automate More Of Your Business? As a small business owner and creative entrepreneur your priority is to spend time on the things that bring you the highest return on investment. You could choose to delegate some of the more time-consuming tasks, however many people feel uncomfortable passing over control of certain tasks. If this is the case for you, then you could consider automating as many admin processes as possible. Social media is a fantastic tool for marketing, promoting and advertising your business. However no one has the time to hang around on social media all day in case an update pops into their head. This is why scheduling is such a time saver. There are lots of programmes that can do this for you, but some of the most popular are Hootsuite, Buffer and CoSchedule. Personally I find that Buffer is a fantastic service that allows you to schedule posts to Facebook, Twitter, Google+, Pinterest and LinkedIn. You can also use their Optimal Timing tool to identify which times your audience is most likely to be online and therefore interact with your post, tweet, pin etc. Also Buffer has a Chrome extension which really speeds up the sharing process. Whatever industry you specialise in, your bound to have questions that get asked time and time again. By making a note of frequently asked questions you can create a FAQ page which can then be linked to multiple pages e.g. your services or contact page. This way, when you next get an email asking you a frequently asked question you can just direct them to the FAQ page. Working with clients means that you inevitably end up sending similar emails on a regular basis. Save yourself a tonne of time by saving those emails as canned responses. Make sure you leave room for customisation and always be personal e.g. including the client’s name and specific information about their project. Email marketing is a huge business booster but it can be time consuming. Use a service such as Mailchimp, Mad Mimi or Flashissue to set up email templates to connect with your clients quickly and efficiently. I would personally recommend Flashissue as is it very easy to use and integrates straight into Gmail. You can set up email lists and templates as well as create a subscriber list. Remember that if you want to delegate some of your work there are many ways you can do this. Check out our previous blog post on the 6 Business Tasks You Could Be Outsourcing! 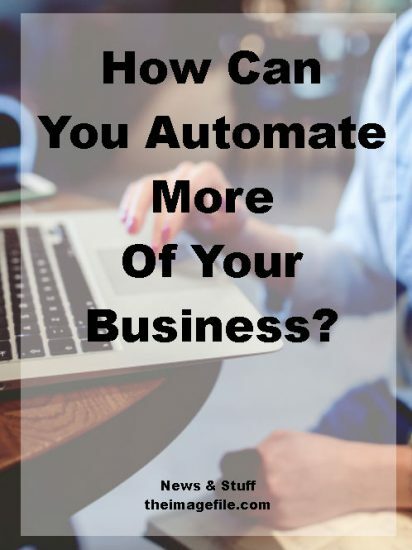 How do you automate your business? Is there something you are going to start automating?